My Brother and Sister-in-Law hosted not one, but two, terrific seders this year. And generously, they let me hijack one of the steps to let me share a new insight I learned this year. The video suggested that within those bounds, there was quite a selection of options available to you. You could dip parsley in salad dressing, radish in guacamole or, get this, bananas in chocolate! That's right, bananas are considered ha'adma not ha'etz as one would expect. So this year, along with parsley we had carrots, radishes, mint, yellow peppers and bananas. 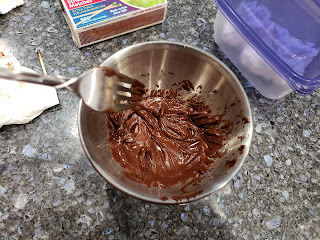 And along with salt water, we had lemon juice, honey, Sriracha, whipped cream and yes, chocolate, to dip in. But the goal wasn't just to add new flavors, but to also experiment with symbolism. The green of the mint, dipped in the fiery red Sriracha is another way of experiencing the joy of renewal and the harsh lives of the Israelites, with the red of the Sriracha adding a nod to the blood on the doorposts that kept the angel of death away. And sure, sitting with a pillow does add to the feeling that tonight you're a free person. But try dipping banana in Chocolate, and tell me you don't feel even more free! The common Ashkenazic practice is to dip the Karpas into salt water. However, if the origin of the Karpas is indeed in Joseph’s ketonet passim, one would expect to find it dipped into blood during the Seder. But blood is strictly prohibited as food in Judaism[xiv]; the consumption of it is a capital offense punished by karet; therefore, we should expect the Karpas to be dipped into a substitute for blood. In the Bible and subsequent literature, there are numerous references to blood representing wine and wine representing blood[xv]. The most preferred wine in ancient times was red wine[xvi] which indeed resembles blood. And Maimonides apparently preferred to dip Karpas into Charoset, which would also be a tasty tradition to try. I took a tuna can and used a churchkey to puncture the sides and provide airflow. I dropped a tea light inside, lit it, and put a small metal bowl on top. In the bowl, I added 1/2 cup of chocolate chips and 1 teaspoon of vegetable oil. 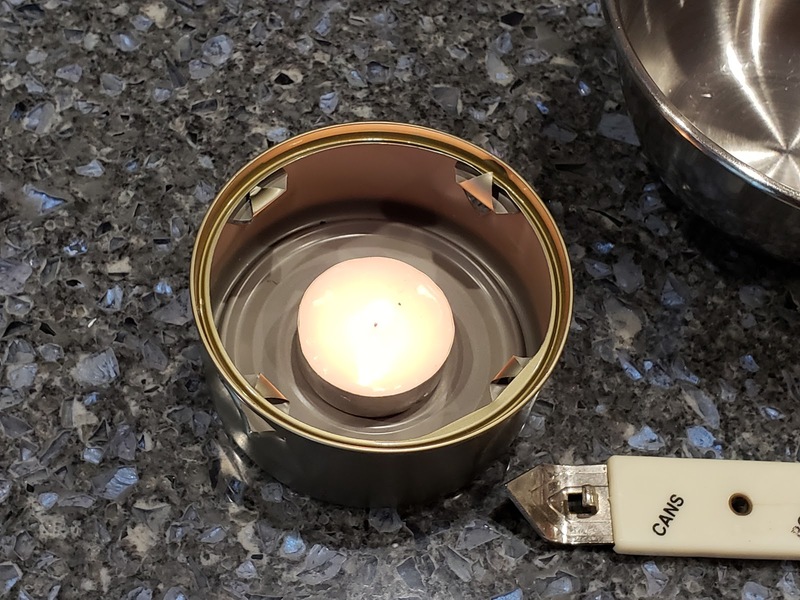 I lit the candle at the start of the seder and by the time we hit Karpas, the chocolate was perfectly melted. A miracle perhaps? OK, let's not go that far. One of the primary reasons for the Karpas step is to elicit questions. And let me tell you, the above experiment did just that!